Two major health risks have awareness months in November. 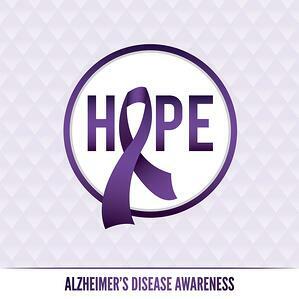 We want to do our part to make our friends, family, and customers aware of the statistics, facts, and information available on both Alzheimer’s and Diabetes. We invite you to take a couple of minutes to read the information below. National Alzheimer’s Disease Awareness Month in November shines a spotlight on the most common form of dementia. There is no cure for this disease that affects nearly 5.4 million Americans, and the number is growing. While the entire month is dedicated to raising awareness about the disease, it also focuses on increasing support for caregivers and sharing available resources. President Ronald Reagan designated November as National Alzheimer’s Disease Awareness Month in 1983. At the time, there were less than 2 million Americans living with Alzheimer’s disease. Since then, the number has more than doubled to 5.7 million Americans. Learn more about the Alzheimer’s epidemic and how you can show your support for Alzheimer’s awareness this month. Talk to people in your community about getting regular checkups. They can get their blood pressure and cholesterol checked and ask the doctor about their diabetes risk. 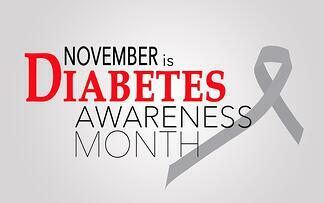 For more information contact the American Diabetes Association. Thank you for taking a minute to read this week’s blog. We hope you found the information useful and will share it with your family, friends, and professional contacts.